A blank resume can be a help or hindrance. When you fill in the blank resume, the first thing you’ll notice is that a typical blank resume format can be anything. That’s the problem. The blank resume forms are a very mixed bag. If you check out blank CVs online, you will see a truly horrific mix of different types of resume, providing different types of information. Some of these CV formats including simple resume format are absolutely useless, hopelessly out of date and in some cases, just plain bad. Some of the blank resumes online are so bad you really have to wonder why anybody would bother using them as examples. Some are definitely much better than others, but if you were seriously trying to help people write a good resume, most of the online blank CV examples are terrible. Many of the blank resumes could be politely described as totally unprofessional, and completely unsuitable for use for any type of job application. It’s a matter of opinion which are worse, the blank, lifeless “forms”, or the terrible examples of completed CVs. If you haven’t had any training in writing a resume or haven’t least had some coaching, you are strongly advised not to use blank CV forms at all. The most likely result of using the blank resume forms would be to produce a complete mess, and waste a lot of time trying to apply for jobs. If you have had training in CV writing, and you do know the basics of writing a good resume, the best blank resumes are the current layout functional resumes. Functional resumes are much easier to work with; they are far more efficient in terms of delivering information, and most importantly, they are also much more competitive. 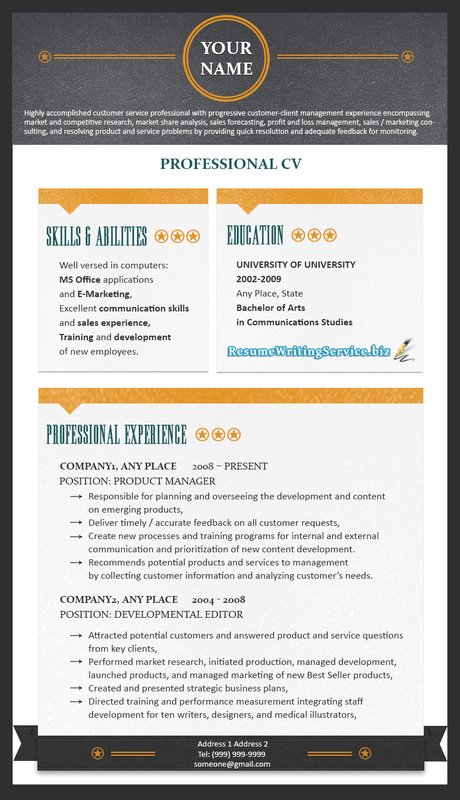 The main advantage in using a blank resume is that the blank resume allows you to draft your resume very quickly. Blank CVs aren’t very long, but they do provide you with an instant structure to write your resume. They also act as good memory prompts, when you’re assembling your information. Remember – Your resume is only as good as the information you provide in it. The blank documents won’t write your resume for you. They are not templates, but basic guides to information content. Depending on the type of job, you may need to write a targeted resume or provide different information for different job applications. This is another problem with using a blank CV form. It’s not a major issue, provided you remember that different jobs do require you to write separate resumes. Never make the mistake of writing a One Size Fits All resume, particularly using a blank form as your basic resume. Every job must be applied for separately, and each job requires you to alter your document accordingly. A blank resume form may be useful and may be convenient, but remember that you are responsible for the information you provide to a prospective employer. Don’t get lazy, get busy. You’ll find that it pays off.